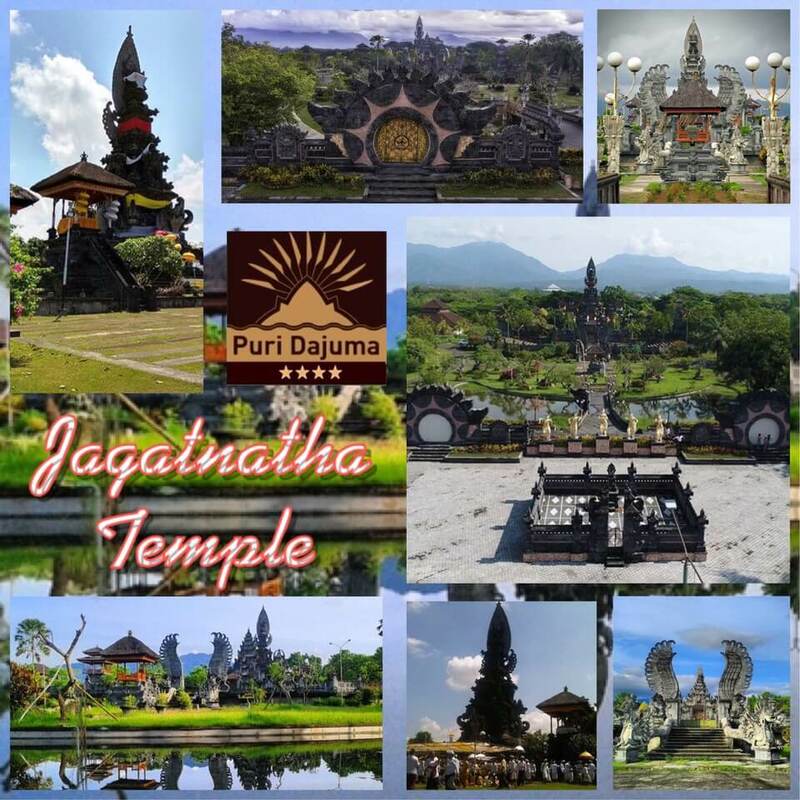 In Bali there are three famous public temples called Jagatnatha Temples respectively located in Denpasar, Buleleng and Jembrana regencies. In Jembrana regency, it is situated in Negara City, 25 km from Dajuma. Its erection started in 1996 and was completed in 2002. This one has several specific features compared with the others: a very beautiful architecture and, above all, a 40 meters high « Padmasana » (looking like a tower), which makes it the highest among the three temples. In this temple the people worships Sang Hyang Jagatnatha as the king and the protector of the Universe. The most important ceremony is held once a year (second full moon of Balinese calendar), the Hindu people prays in this temple not only during the temple ceremony but also in other holy days. In the Nista Mandala (outside area) of the temple there is an open stage that is usually used for performing Balinese dances, traditional music and other arts. It also has a beautiful garden. Jembrana government is currently developing a 5.4 hectares piece of land, behind the JagatnathaTemple, as a botanical garden which is still under construction and is targeted to be completed by the end of this year. A holy place which definitively deserves to be visited next time you decide to come over!